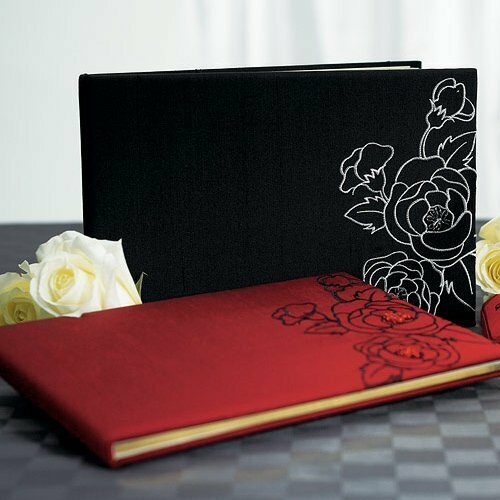 Part of our elegant silhouettes in bloom collection, these lovely guest books are available in 2 dramatic colors - cabernet red with black floral accents or jet black with white floral accents. Floral motif is embroidered and embellished with mini glass beads to add a bit of sparkle. 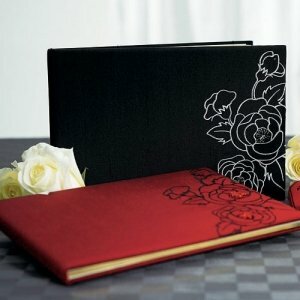 These traditional books will accommodate up to 430 guest names/signatures and measure about 9.5" x 6.5". Product dimensions: 9 1/2 x 6 1/2" H.